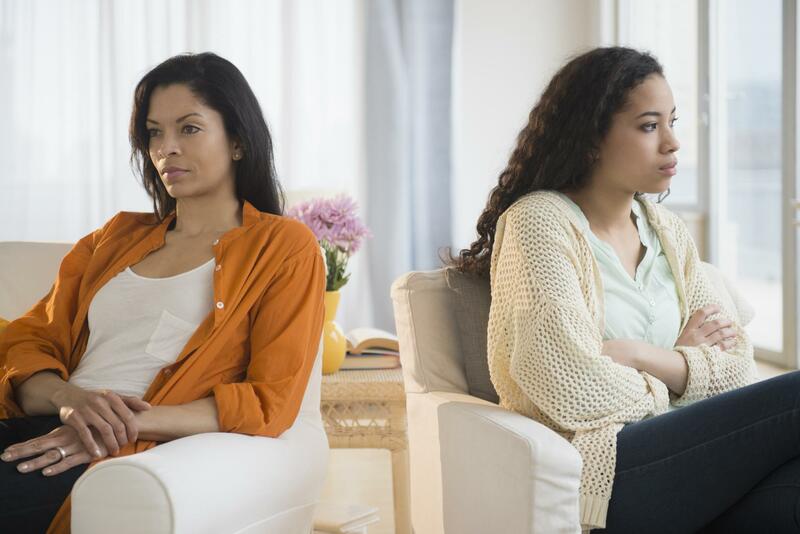 The Write Or Die Chick: Parenting Realness: Should Parents Give Their Kids the Silent Treatment? They say treat others the way you want to be treated. When your teen is being sulky, do you sulk right back? It’s been closed-up-church quiet in my home for the past few days. That’s what it sounds like when there are only two people in it and both of them are purposely not speaking to each other. One, the adult, which is me, and the other, Girl Child, who is falling right into that time-honored expression of teen angst: the silent treatment. I know she thinks she’s not speaking to me. But what she doesn’t realize is that what she’s giving, she’s most certainly getting right back. It may not be appropriate for a mother to feed a communication embargo with her kid but to be quite honest, I don’t care if it’s appropriate for a mother to feed a communication embargo with her kid. Sometimes mama needs a break from being the peacemaker. This is my hiatus. I didn’t start the fire, but I don’t feel a need to rush it to its end. On Saturday, out of the nowhere atmosphere, homegirl woke up with the fiercest of attitudes, which spilled out in those huffy sighs and eye rolls that are just too typical of girls her age. When she sulked out to pour herself a bowl of cereal in the morning, I noticed an air of stiffness. My sunny “good morning!” and a few attempts at playfulness were brutally rebuffed. Naturally, I asked what was wrong. “Nothing,” she grunted, wolfed down her Cinnamon Toast Crunch and beelined back to her room. Two hours later, she missed the city bus that gets her to ballet practice on time. I was irked—partly because it was snowing and partly because she could’ve easily gotten herself together on time—but I taxied her there. It was below freezing outside, but it was downright artic in the car. It finally came out that she was upset because I’d scolded her the night before about coming home late, having accepting a ride from her boyfriend’s mother. Girl Child is 16 now and this whole my-daughter-is-old-enough-to-date thing is new to me, so I admit I might be a bit touchy about it. But, a few weeks ago, she didn’t show up on my doorstep until past 8:00 pm, well beyond the time I expect her to be home after school. That lateness and the lack of communication around it did not instill confidence in the oversight of this budding teen romance. I told Girl Child as much, explained my reasoning, outlined my expectations and re-outlined them when they hadn’t been met. Even though I’d forgotten all about it by Saturday morning, she quite evidently had not. My preference, of course, is not to live in a household filled with hostility and tension. I’m all about free and open expression, talking it out, saying what’s really on your heart and mind. But the silent treatment is in her holster, ready to be whipped out like a torture maneuver because she knows it irks me so. And when she’s ready to stop being mad, she can ease her way back into normalcy and spark conversation like nothing ever happened, her punishment of silence over, the gift of the sound of her voice restored. That’s fine. But I won’t be manipulated in the meantime. No, honey. I’m taking back the power. Yes, I want to set a good example by initiating resolution. Yes, I want to brandish my grown-lady maturity and show her how to expertly handle conflict. I’ve realized that until recently, I’d been unsettled by the fear that a wall of temporary quiet between us would take permanence in our household and cause a breakdown that would jeopardize our relationship. I’m off that now. Sometimes it’s just best to leave well enough alone. She’s perceptive enough to know that communication, like respect, works both ways and opting out of it with the authority figure in her life isn’t effective. Besides that, she’ll get over it. And until she does, as much as she is willfully barricading herself in her room and not talking to me, I’m in every other part of the house not talking right back. Writer Janelle Harris is a freelance writer and editor and a cheerleader for Black girl power. Chat her up on Facebook or Twitter.